tibstr's review (This content has been automatically translated from French)" V30 2 small budget!" minimum: the wooden box crate. value for money: top for anyone who wants to make a cab since there are all pieces must tinker with it all! jmabate's review (This content has been automatically translated from French)" nice and cheap!" 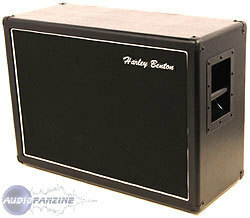 for the price of 2 celestion vintage 30 speakers, 16 ohms. we etrouve with a rather nice box ... it's not worth it to in private! level made it is not comparable to leading brands and ENGL MESA (I know very well)! only problem is in me ... the resistance of 16 ohms HP ... I would have preferred 8 ohms from my config 8 or 4 ohms. Gloomyseb's review (This content has been automatically translated from French)" V30 but the real ..."
Use good 3 hours in front of a test 2X12 Horizontal Engl. Then the big plus of this cab is obviously the price unbeatable. Then comes the test, it sounds not bad for something so cheap! We say that it is rather a good deal even if he does not mask a mesa or grid buffalo Engl. Then when well played, you plug in its place the engl mounted with the same V30. There, as that is the day and night, the bass is clear, the treble less shrill, and it seems to have increased power. We say that there must be error, it reconnects the HB, not no mistake, we are pressed on a cab all soft and undefined. 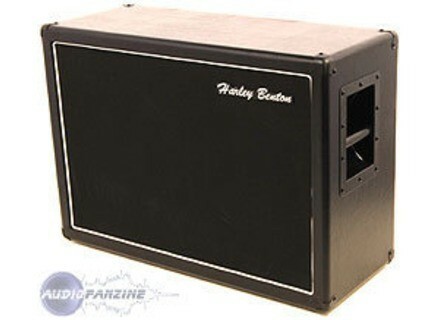 In summary, the value for money is good (a cab for the price of HP only) that will be great for those who can not afford to type in the high-end or have just slammed their amp head . But definitely not a competition or even a Mesa Engl (many mojns expensive), much less a nos. Subsequently, we can always keep your HP and find a good cab secondhand without HP, or at worst sell the V30 without losing much.